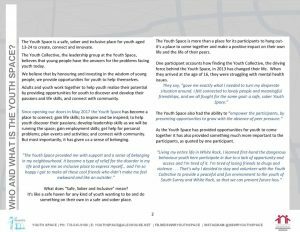 The Youth Space is a safe, sober, and inclusive space for youth in the SS/WR community. It is an accepting space for youth to connect with others and express themselves in creative and positive ways. The space is developed, operated, and run by youth in the area, with support from Alex House and community partners. The best part is that all activities in the space are decided on, and led by youth. The Youth Space is open 5 days a week for youth to connect, create, and innovate. 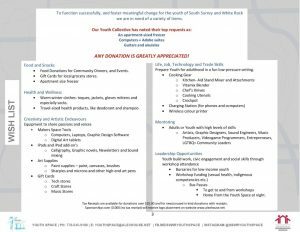 To function successfully, and foster meaningful change for the youth of South Surrey and White Rock, we are in need of a variety of items, which are listed below.We greatly appreciate all donations! See below for all the details. 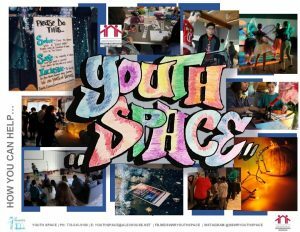 The SS/WR Youth Space needs your support. 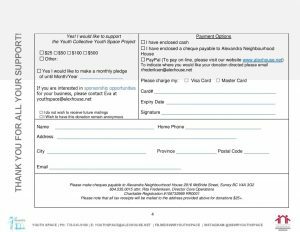 Keep reading to see how you can help us!